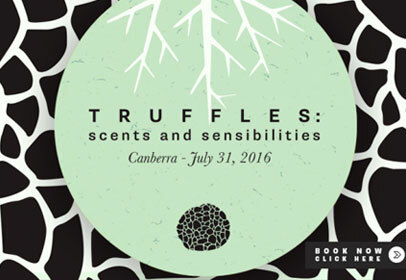 Join an entertaining conversation at Truffles: Scents and Sensibilities with a chef, academic and food writer as they attempt to unravel, understand and appreciate the elusive nature of the truffle and its sensual appeal. Brain fuel for this animated exploration is to be provided by Hotel-Hotel executive chef Sean McConnell and will involve several courses, wine - and truffles. The event includes a series of talks, a truffle infused lunch by Sean McConnell and a signed copy The Truffle Cookbook. Ticket price includes lunch and a signed copy of Rodney Dunn’s The Truffle Cookbook, valued at $59.99. Tickets are strictly limited, so we advise booking early to avoid disappointment. Le Cordon Bleu has proudly supported the Food & Words food writers’ festival in Sydney since 2014.